Get ready for Barona Resort & Casino's "Carry Over Cash" promotion every Thursday in September with a total of $325,000 in cash giveaways. This exciting promotion kicks off on Thursday, September 1 and at least five lucky winners will be drawn at the top of every hour between 10 a.m. and 10 p.m. Approximately 65 lucky Club Barona members will win $1,000 in cash each day. "It's fun to be a Club Barona member," said Rick Salinas, general manager at Barona Resort & Casino. "We're bringing back 'Carry Over Cash' days but with even more chances to win." Actively playing Club Barona members will receive one entry for every 250 points they earn beginning at 12:15 a.m. during Barona's Carry Over Cash promotion. Qualified players must be present to win during hourly drawings from 10 am to 10 pm. Prizes that are not claimed will be rolled into the following hour's drawing. Club Barona members who earned entries during the day will qualify for the 11 pm finale where all unclaimed prizes will be given away. 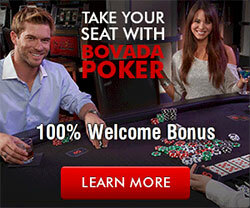 Club Barona members do not need to be present to win at the finale.